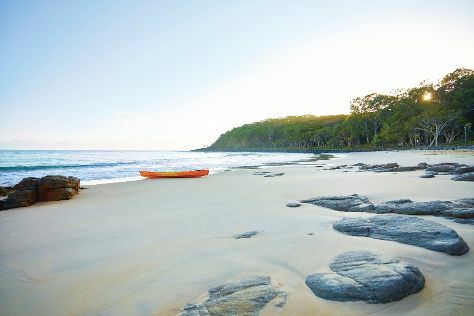 Beaches, sun-drenched streets, and a relaxed ambience are the defining elements of Sunshine Coast, a region just north of Brisbane. Having grown rapidly in the 1960s and 1970s, Sunshine Coast became a popular destination for surfers in particular and has now grown into a well-managed city focused on "green" economic development. Sunshine Coast is in Queensland. Before you visit Australia, use our trip planner to discover what you can do and see there.